World number one Rory McIlroy tees it up this week in Dubai with the added incentive of becoming the richest-ever season earner in the history of the PGA and European Tour. Five years ago, former world number one Tiger Woods amassed combined PGA and European Tour earnings of $11,557,729 (€9m). Woods won seven regular Tour events in 2007 including his 17th major title, the PGA Championship along with two WGC victories while he also competed in two regular European Tour events. McIlroy heads into this week’s final Tour tournament already having amassed official combined 2012 European and PGA Tour prize money of $9,620,300 (€7.54m) from his 22 tournaments on either side of the Atlantic. 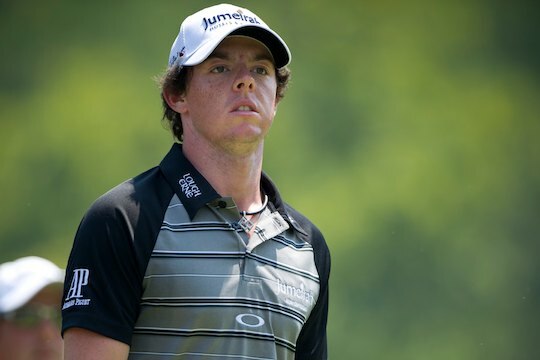 The 23-year old Northern Irishman will add $1 million (€784,000) to that for simply teeing up on Thursday. That’s the top prize from a $3.75 million (€2.94m) ‘bonus pool’ for Europe’s top-10 finishers this year and with McIlroy already assured the money in wrapping up the Race to Dubai by finishing third in the recent Barclays Singapore Open. It still puts McIlroy $937,429 (€735,600) adrift of Woods’ 2007 historic season high. However, if McIlroy were to claim the $1,333,300 (€1,046,240) first prize cheque in Dubai he would surpass the American’s 2007 high by $395,857 (€310,628).